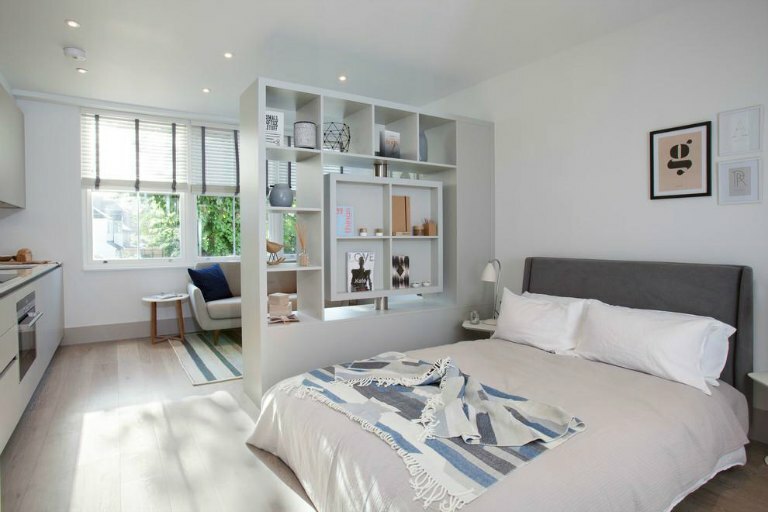 A studio apartment may not be the home you always dreamed of, but with the power of details and interior design you can definitely make the most of it and convert it into an astonishing place to be. What most people would agree on regarding small spaces, especially apartment studios, would be the fact that they don’t offer intimacy. However, there are many creative ways that can help you create more intimate areas. And trust me, I know how you feel. I know you think of your home as a place where all hell breaks loose because it’s where you sleep, eat, get dressed, work, relax, cry and laugh, but by implementing a few of these simple, inexpensive and creative tricks you can create multiple living areas in your studio apartment. As graceful and functional as they are, room dividers carry the classic craftsmanship and have the ability to multiply space in the most stylish way possible. 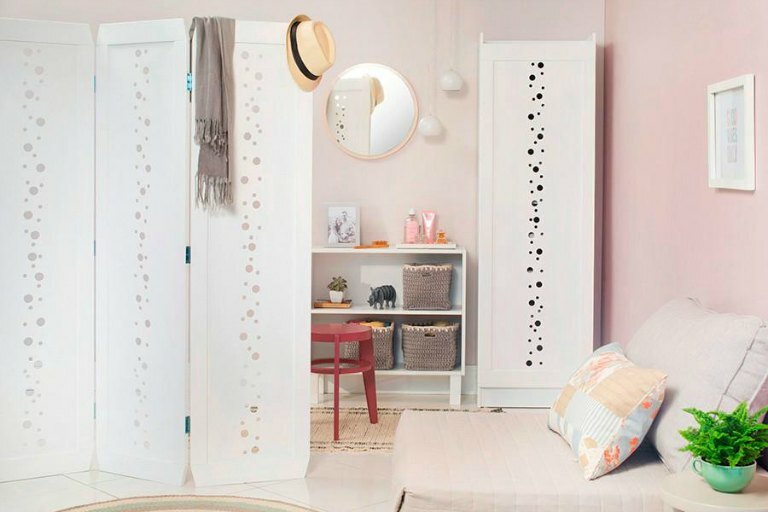 Whether you’re looking to divide your rooms for a more efficient use or you want to enhance privacy in your home, a folding screen is definitely the solution you’re looking for, especially if you live in a tiny place. 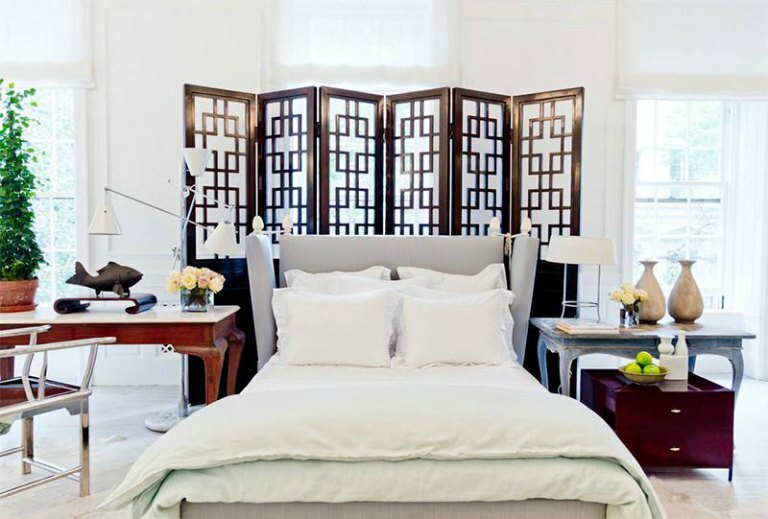 They are really practical, so, as their name implies, if you decide you want that one-room space back in your life, you can just fold the folding screen and use it simply as an accent piece. They really are a “two in one” package. Since they are simple and really easy to install, curtains can create a defined space in a snap. By using curtains as room dividers you will bring intimacy to a whole new level. This style of room divide is great for the space that changes on a daily basis, so you can easily open it up or close it with just a pull. Using curtains as room dividers is not just a practical, but also a really romantic way to divide a room especially if you go with sheer curtains that will drag on the floor. So nice! If you’re a bookworm like myself and you buy lots of new books every week even though you know you don’t have enough space for your very clothes and other utensils, you can use this as your advantage in interior design. Bookcases make for awesome room dividers that can serve you both as a space maker and a space saver! Of course, the style, the color and the size of the bookcase vary in countless of ways. For instance you can either combine two smaller bookcases or use one that’s big and wide enough to separate your bedroom from the living room for example.